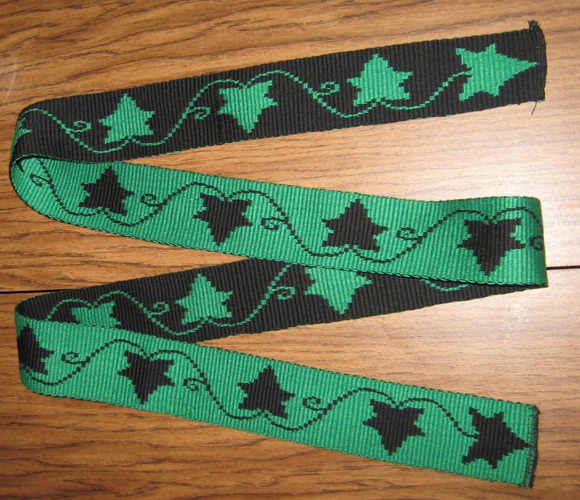 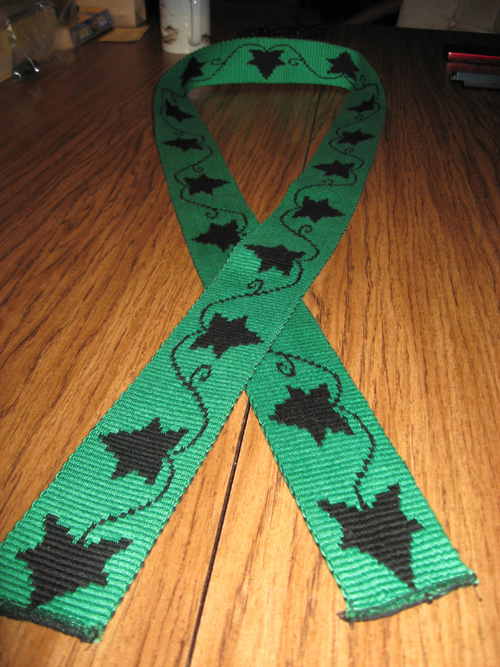 This is my third project, a belt with a Here is the winding ivy vine pattern for my best friend, Jen. 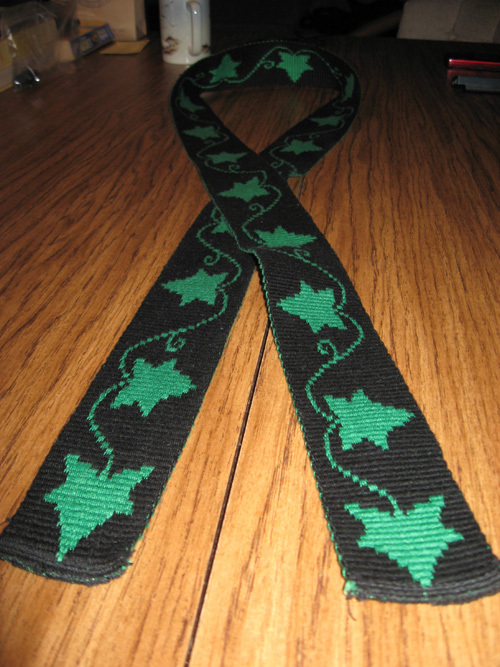 She chose the colors, kelly green and black. 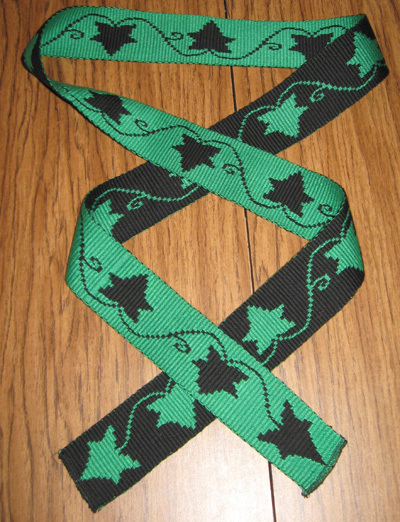 Below are photographs of the completed belt.